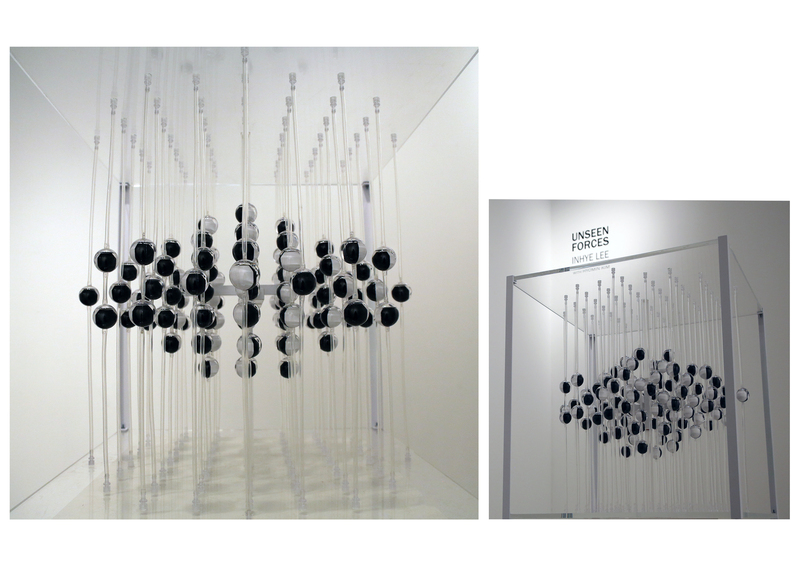 Spatial Magnetic Field Visualization is a kinetic art installation consisted of magnetic field generators (solenoids) and a three-dimensional grid of ball magnetic compasses to visualize magnetic field changes. It is a physical space that emulates the electromagnetic connection between the Sun and Earth, the invisible yet ubiquitous forces in nature, which has a profound effect on us residing on the earth. The impact of what is now called “space weather” on the human life and technology (e.g., GPS, radio communication, power transmission, etc) is substantial, significant enough for President Obama to call for an executive order in preparation for space weather-related disasters. One purpose behind this project is to create conversations about this scientific topic. 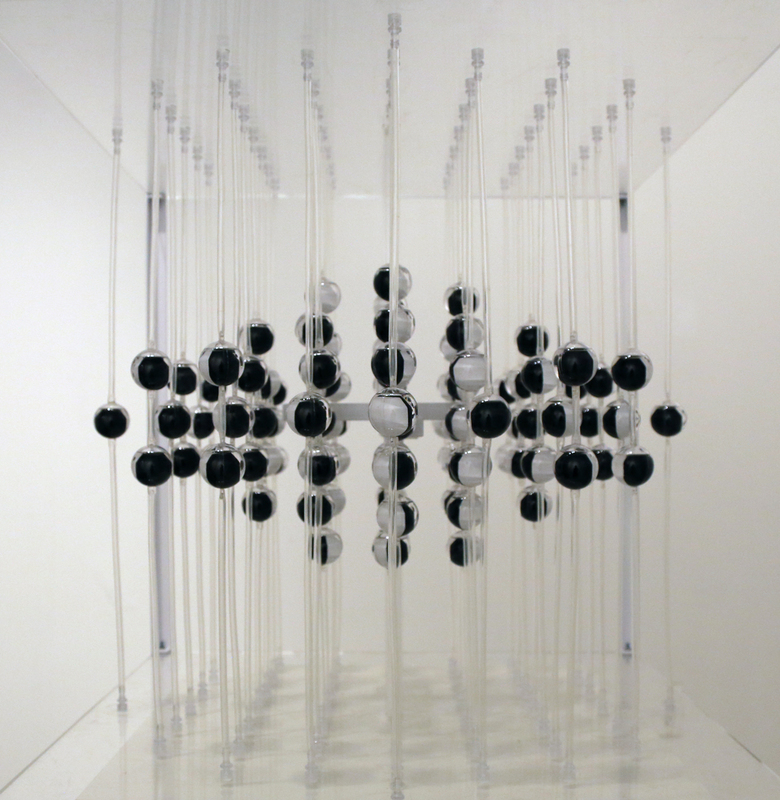 Each ball compass placed in a small transparent globe is colored with black and white indicating the polarity. The array of about one hundred compasses altogether creates a three dimensional visual pattern composed of different degrees of black and white, responding to magnetic fields created by the three-axis solenoids which mimic the magnetic fields around the Earth. The solenoids are connected to an Arduino-based system which is programmed to generate magnetic fields either from data or a magnetometer that detects ambient magnetic fields to provide real-time measurements. One of the science data used for the installation is from a ground magnetometer station in Ottawa during a very intense geomagnetic storm on October 29, 2003, later called “Halloween Solar Storm”. When this installation was shown at the exhibition Unseen Forces, the data recorded every minute for a 24 hour span on this particular day (1440 data points) was run for the duration of 2 minutes and 24 seconds.